What are values? They’re the basis of how we choose to behave; our judgement of what matters in life. Freedom of speech, having good manners, caring about the environment: these things are all values. Your values matter. But in a community, it’s important to respect other people’s values too. 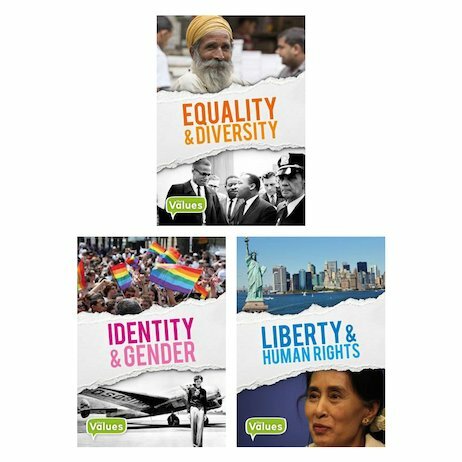 In this pack you’ll explore how values of kindness and tolerance can help you live happily in today’s diverse world. Learn how lucky you are to be part of a society where people are generally free to live their lives as they choose.